Libraries – Did You Know? Tell your library that GrantWatch.com now offers Library IP License packages! Libraries can provide simultaneous access to GrantWatch.com to all visitors within the building. This access can increase the flow of patrons at a library. In addition, GrantWatch.com has great grants and awards for libraries and library employees. A library serves as a multipurpose community center. It offers programs for children, teenagers, adults, and the elderly, in addition to serving as a resource center for the population. However, a library can only work with a devoted staff and administration. Often, library administration finds new and innovative ways to engage the public. They also come up with programs to streamline activities. 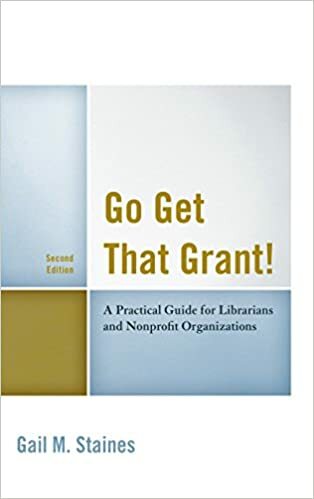 The book, Go Get That Grant: A Practical Guide for Libraries and Nonprofit Organizations, details how libraries can search for and apply for grants. In this book, you’ll find information on types of grants like foundation grants or government grants. It also includes how to locate grants. Unique to libraries and nonprofits, it explains identifying features of fundable programs. If you’re interested in the Library IP License package for libraries, pricing is quoted on a case-by-case basis depending on the organization type and the anticipated size of web traffic by staff or patrons. If you’re interested in applying for awards or grants for your library or as a library employee, check out the grants listed above or here. For questions and concerns, call (561)249-4129 or email Support@GrantWatch.com.